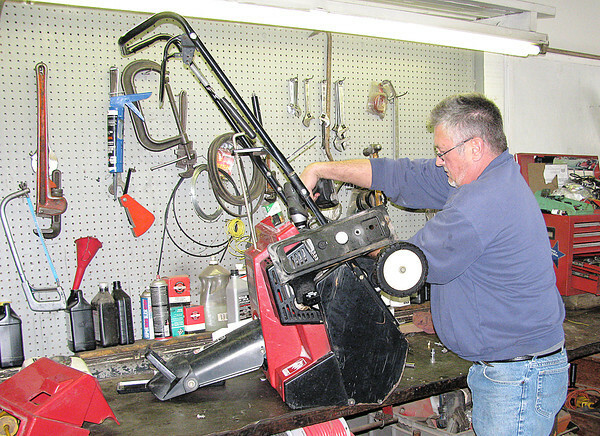 Dean Quick works on an electric snowblower at Howard's Lawn & Garden, 1115 W. South St., Lebanon. Quick said that 90 percent of all repairs on gas-powered snow blowers involve a fuel issue. "People will leave old gas in them," he said. As of Thursday afternoon, Quick said, the shop was up to date on repairs. "We're staying right with them, at the moment." The unit he is working on is a Toro electric model.